The main concern involving these two is the body’s inability to properly digest gluten, a protein found in foods like bread, crackers and pasta, affecting the absorption of nutrients. Symptoms include gas, bloating, weight loss, abnormal stool (diarrhea or bulky, loose, pale, frothy and foul-smelling stool) and fatigue. Vomiting may also be present with children. 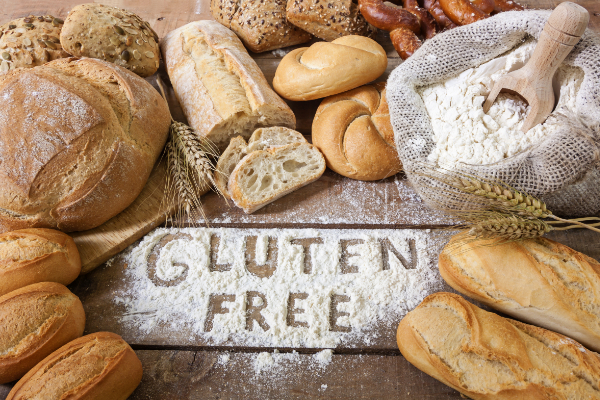 If gluten intolerance is not addressed, it can progress to Celiac Disease, which can then lead to problems with memory and concentration, mood changes as depression, other autoimmune manifestations. It is important to first diagnose that gluten is a concern with the current symptoms presented. There may be other conditions that may present with similar symptoms. Specific labs and scopes are used to identify the gastrointestinal integrity and severity. The common denominator with these two conditions is inflammation. Therefore, we will focus on identifying (aside from gluten) what else may be causing or furthering the inflammatory process. As with many other conditions, we will take a holistic approach identifying triggers be it environmental (toxins, chemicals, others), food (chemicals as artificial colors/flavors, other food additives or allergies/sensitivities), substances (alcohol, drugs, caffeine, or others), sleep habits, stress, proper detoxification, and others. The holistic approach we use when treating Celiac disease and gluten intolerance includes dietary modifications, Emotion Code therapy, electrical stimulation, acupuncture, decreasing stress, supplementation and others. Family support is also key in helping the individual work through the current symptoms. The main goal is to restore proper function while decreasing the use of medications and prevent surgery.